We went to Grioliere le neige last Saturday, searching for some neige (snow). Thankfully, we found some. 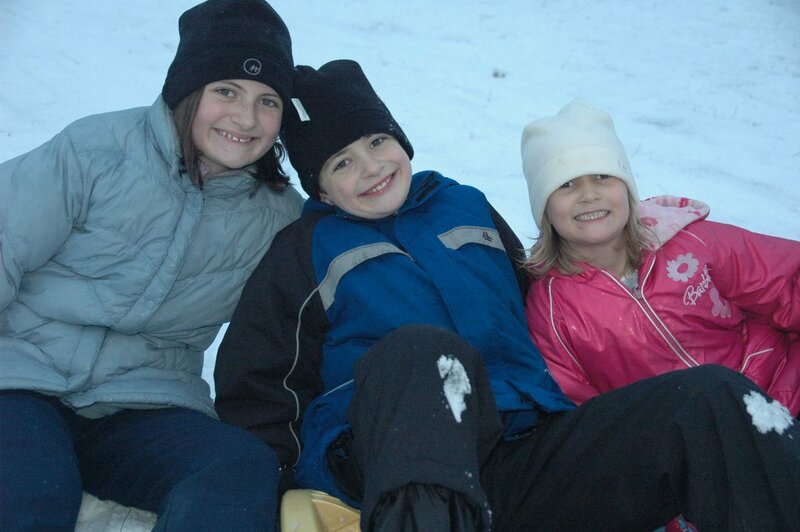 The kids had a great time sledding (and we did too). Julia with her pink Barbie coat on. She was a daredevil on the sled slopes! 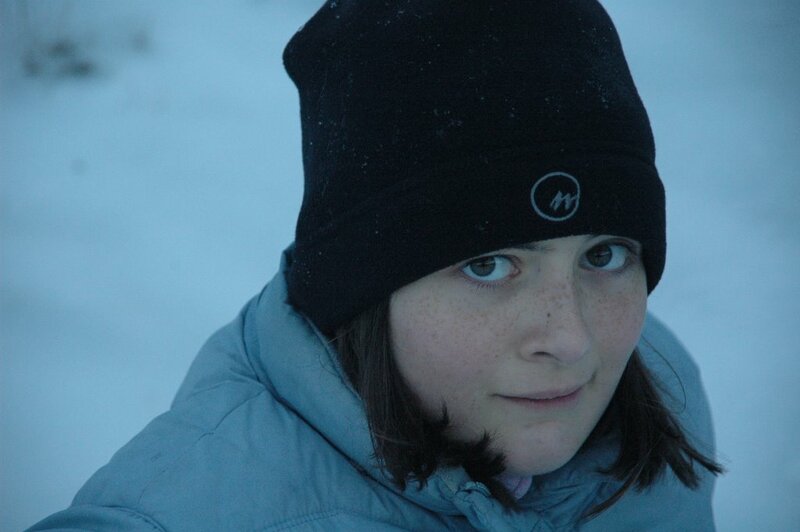 Sophie a litte apprehensive about the ice-run. Aidan happy to be creating snowballs.